Doors of Perception weblog: Iceland: eaten alive, or growing to live? Iceland: eaten alive, or growing to live? "Who needs oil when you have rain?" 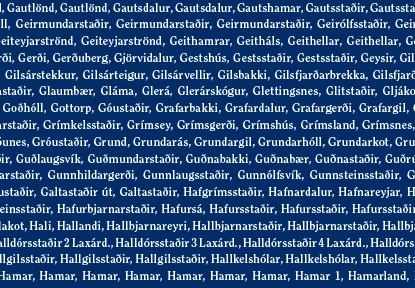 The ad for Landsvirkjun, Iceland's national energy company, dominates this month's Icelandair magazine. It sits alongside other ads that feature wild spaces, rugged outdoor clothing, and all-round natural purity. The message is not disguised: Iceland is blessed by massive amounts of clean energy. The true picture on the ground, sad to say, is murkier. Landsvirkjun's greener-than-green power stations may well employ geothermal and hydropower - 'the rain' - but their massive megawatts of output are not used to keep Icelanders warm. Most of their energy powers a global extractive industry - aluminium - that, seen as a whole, is one of the most dirty and wasteful in the global economy. For a start, it takes huge amounts of fossil-fuel energy to mine bauxite at its point of origin, and the extraction process nearly always involves habitat destruction, soil erosion, acid mine drainage, watercourse pollution, loss of biodiversity, and the displacement of local people too powerless to resist. More dirty fuel is then needed to power shiploads of ore as they cross the globe, from places like Australia, to Iceland's smelters. Black smoke is also emitted by the ships that carry 400,000 metric tons of processed aluminium from Iceland to manufacturing centres in China and the US. Upon arrival, more non-renewable energy is used to transform all those ingots into billions of beer cans - half of which, 50 billion of them, are thrown away each year. [Recycling aluminium uses only five per cent of the energy it takes to extract new metal from bauxite, and the mining campaign group Project Underground calculates that Americans throw away enough aluminium every three months to rebuild the US's entire commercial air fleet. But the mining companies and smelters don't control global aluminium flows downstream; returns to them are better if they dam rivers and blow up mountains in Iceland]. Companies like Alcoa are moving to Iceland because the energy there is cheaper, not because it is cleaner. 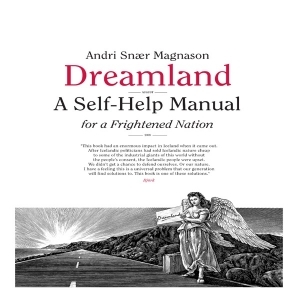 In his book Dreamland Andri Snaer Magnason describes how successive governments have striven to make Iceland "one of the largest aluminum smelters in the world." They do this by selling pristine wilderness to predatory corporations at low energy prices. One of these, Century Aluminium, pays one fifth the price for power than is paid by citizens and small businesses, such as farmers. Previous Icelandic governments used the promise of jobs to promote their transfer of public assets to private companies. But those promises have proved unreliable. 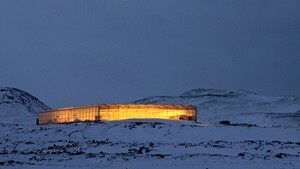 During construction of the Kárahnjúkar project, for example, nine out of 10 workers were foreign; and once operational, only a handful of staff is needed to run these highly-automated plants. The trouble is that Iceland is not only beset by brutal mining firms and pliant local politicians of limited imagination and empathy. The country's mis-named 'clean energy' revolution is fuelled by a global contest to control mineral flows. China's new embassy in Reykjavík, for example, will be the largest in the capital. Why? 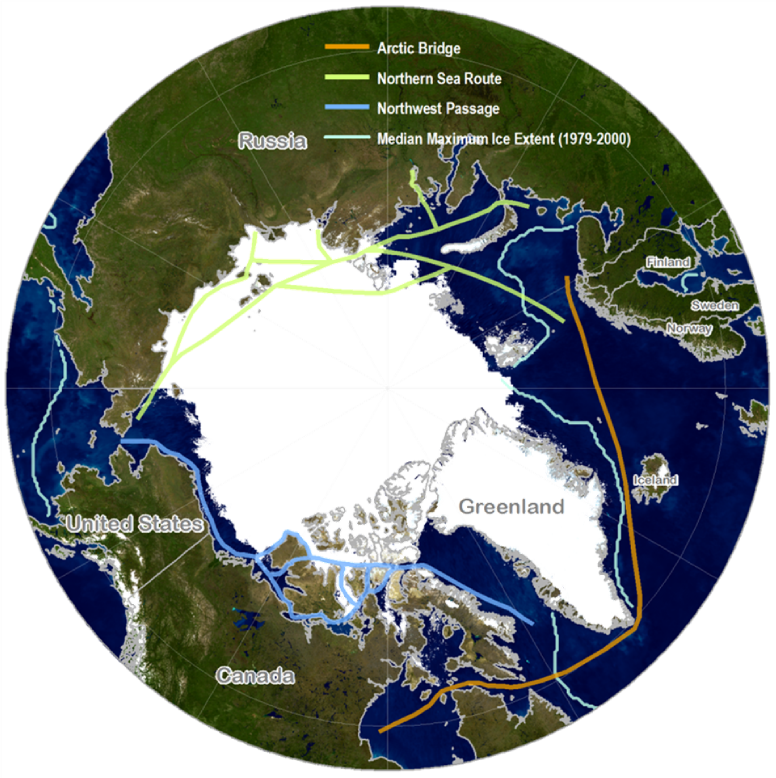 Because Beijing sees Iceland as a logistics hub in new global resource trading routes across the Arctic Circle that are being opened up by melting ice. A railway connection from China, through Russia, to the Nordic countries and the Norwegian port of Narvik is part of this vast but under-reported plan. It's is on the same scale of ambition as the transcontinental railroads in the United States, and the Trans-Siberian Railroad in Russia, that were pivotal in the industrialization of those two continents. But Iceland's too-cheap energy is not just attractive to superpowers such as China and its plan to reconfigure global mineral flows. The country's squeaky cheap energy now also figures in plans for 'clean' data services. Although the world’s data giants, such as Google, Apple, Microsoft and Yahoo!, have worked hard to make their servers energy efficient, most of their their machines are still powered by coal or nuclear power. A Greenpeace report called titled 'How Dirty Is Your Data?' said that many IT brands wilfully omit the source of energy from their published calculations. But the companies are under pressure to improve: more than 400,000 Facebook account holders recently petitioned the company to use more renewables. The search for clean energy is one of the drivers behind cloud computing. An Icelandic start-up, Greenqloud, aspires to be Europe’s green cloud computing leader in a market set to be worth $150 billion by 2013. The company argues that it will be fully powered by two clean-energy sources found in abundance in Iceland: geothermal and hydro power. Well, yes - except that those two energy sources are not at all so squeaky clean at all when you peer behind the green curtain. At first sight, Iceland's spectacular wild open spaces look lifeless. Iceland's energy lobby mocks the selfishness of environmentalists who oppose the use of assets that may look nice, but are otherwise useless. But what looks bleak and lifeless from a helicopter is often rare heathland habitat that harbours different types of endangered mosses and lichens, as well as other plants that could be vital for other uses we do not yet know. The threat to Iceland's wild habitats echoes a similar situation in California. There Bruce Pavlik, in a piece for the LA Times, has warned that a rush to produce green energy could do irrevocable damage to fragile California ecosystems. "California's desert lands are in some ways a perfect fit with the renewable energy industries necessary to combat climate change" Pavlik wrote; "There's sun. There's wind. There's space. But the biologically rich but arid desert ecosystems are remarkably fragile". So too in Iceland. Once topsoil and plant life have been disrupted for the placement of dams, infrastructure, roads, transmission lines and the like, restoration would be cost-prohibitive, if not technically impossible - and in any case can take 100 years or more. 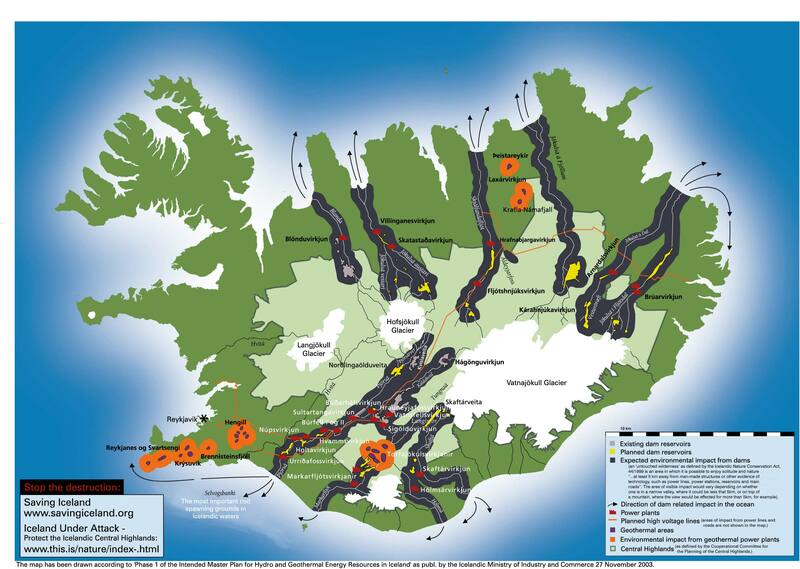 In that context, the dynamiting, digging, and re-direction of rivers involved in Iceland's energy engineering resembles self-cannibalism. All, of course, in the name of progress, modernization, and growth. And there are plans to increase the servings. 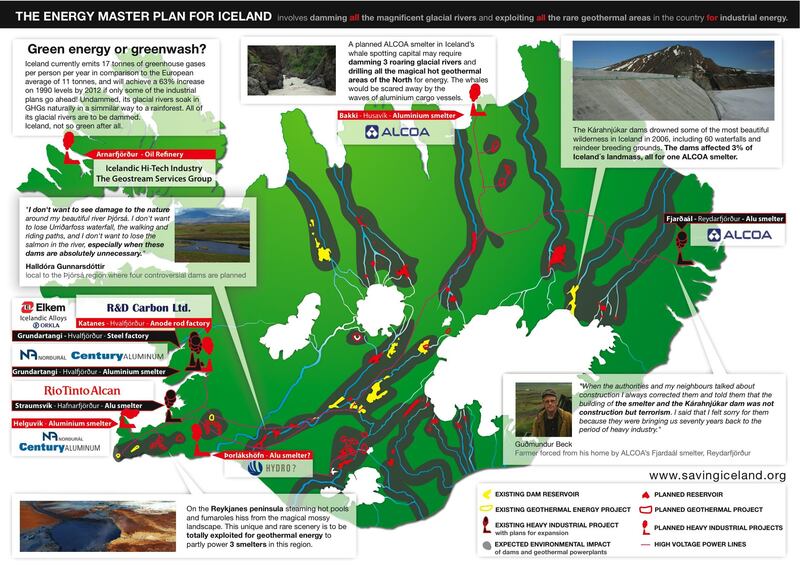 Iceland’s Energy Master Plan lists more than 60 wilderness locations that could in principle be exploited. Landsvirkjun on its own wants to double production in the next decade; so do other energy producers. If the energy development imperative is followed to its conclusion, one of the world's most beautiful places will be chopped to pieces by dams, and festooned by power cables. Iceland could end up like like a beautiful, sturdy beetle - trussed up, and sucked dry, in an energy-spider's lair. It feels, to this outsider, as if Iceland is intent on self-immolation because she cannot imagine a persuasive alternative. 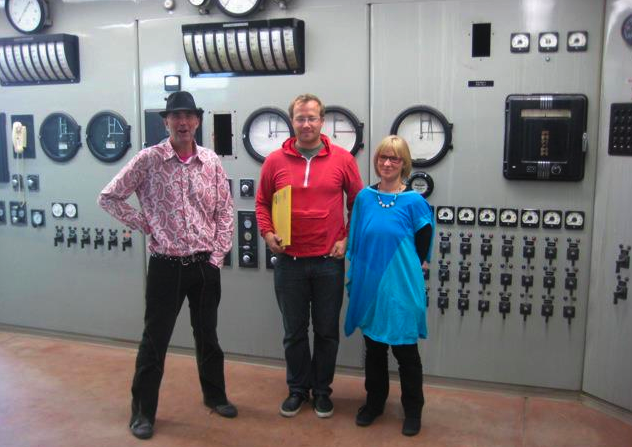 Big energy projects denote decisive action and a dynamic future. Boutique farms, a jumper business, or a few backpackers in a campsite, sound too small, too puny, as the basis for a secure future. This is where the visitor can perhaps be useful: as a mirror in which a country's residents see more meaningful possibilities reflected back than they had realized were there. In that spirit, it strikes this visitor that Iceland could also be the beetle that escapes - for two reasons. The first is that although the march of the global extractive economy may look remorceless, it suffers from a fatal weakness: its utter dependence on fossil fuel. It's simply not feasible that bauxite will ever be dug out of the ground, torn out of mountain tops, shipped across the world, and turned into beercans, by digger versions of the Toyota Prius. Nobody knows how the coming post-peak-oil energy transition/crash will play out in detail, but one thing is assured: the profitability of the extractive industries will be a casualty. Even leaving aside questions of environmental impact, it makes no policy sense to stake Iceland's economic future on an industry whose prospects are so risky. An energy-extractive economy leaves Iceland totally dependent on external forces outside her control. So what, apart from waiting, can be done now? This brings me to my second reason for optimism: the emergence in Iceland of alternatives to the energy-aluminium economy. These alternatives can help grow Iceland's resilience to the challenges to come. They can create meaningful work and livelihoods for Iceland's citizens. And design can help them succeed. One of these is food. 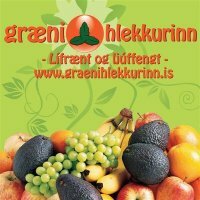 An obvious way to use Iceland's bountiful warm water and cheap energy is in new varieties of organic glasshouse horticulture. I visited an inspiring farm, Akur [below] where Thordur Halldorsson and Karolina Gunnarsdottir have spent the last 20 years creating the prototype for such a market almost single-handed. 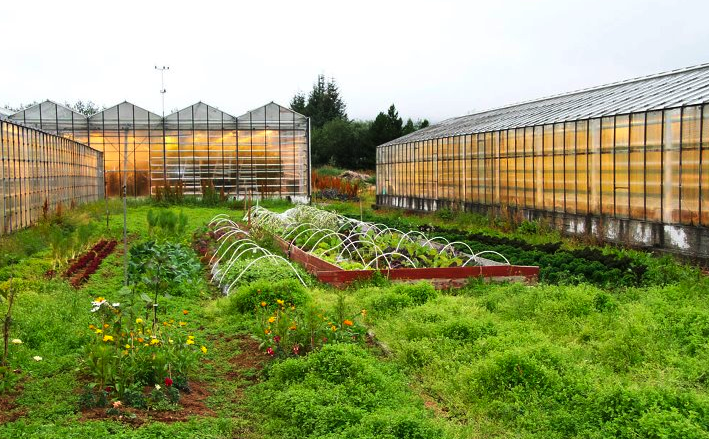 Their farm produces tomatoes, peppers and cucumbers using 400w overhead lights, and ambient geothermal heat, on soil enriched with manure from chicken farms and local mushroom growers. Halldorsson told me how inspired he had been by a visit to Tropenhaus, Switzrland's "tropical island in the Alps" which uses renewable energy to produce tons of bananas, papayas, mangos, carambola, dwarf bananas, guavas, physalis, litchi, durian, mangostana, pomelo, pomegranate, avocados, pineapple each year. Halldorrson is convinced they could do even better in Iceland. His partner, Gunnarsdottir, is also enthusiastic about the potential for growing herbs in glasshouses. She is professionally trained and up-date on the science of herbs in medicine, and is confident that Iceland could be self-sufficient in a huge variety of specialized herbs. [Gunnarsdottir smiled politely when I mentioned my total knowledge of the subject: this text on Health, Grooming, and Medicine in the Viking Age. The Agur team has also been instrumental in building an organic food accreditation scheme, and a farm-to-table distribution portal. While still small, this online platform could directly link hundreds more of Iceland's farmers and speciality producers with customers in Reykjavik and beyond. It also has the potential to cut out parasitic intermediaries, while creating work for new kins of distribition system. A variety of regulatory and financial obstacles still need to be tackled, but this new-paradigm distribution platform is ready to be developed. The missing ingredient is confidence among the broad population that a country-wide ecology of small food producers can be a meaningful alternative to dams and diverted rivers. This confidence can gollow, I'm sure, if farms like Agur can be developed as learning and visitor centres. In other countries, demonstration farms are booming - especially those where people can go and work for extended periods. There is also potential for innovation and new work in Iceland's fish industry - although here, the driver would in part need to be defensive. Iceland's fleet, which already catches two per cent of the world's fish, is highly developed in terms of technology. But it takes a ton of oil to catch a ton of cod, so the coming oil shock and energy descent will have a severe impact on the industry's viability. Right now it is a primary producer, and too much of its catch is exported fresh by air to other countries where value-adding processing takes place. There is a huge opportunity here to develop new ways to dry, flsh-freeze, and pickle fish rather than leave that creative work to far-away countries. This innovation would take as its starting point the imminent need for fish to be exported slowly by sea, rather than quickly by air. The expertise for a paradigm change in fishing exists. As Andri Magnuson writes in his book, "Iceland has trained biotechnologists, chemists, food scientists and business managers who could double the value of the cod or capelin catch. Healthcare, pharmaceuticals, herbs and spices and complementary medicine are global industries worth billions"
A second kind of economy with spotential in Iceland is eco-tourism and agri-tourism. Thanks in part to its devalued currency, but also to discount air travel, Iceland's tourism numbers have doubled,to 600,000, since the financial crash of 2008. But there are two dangers here. The first, obviously, is the coming oil shock: You can't fly airplanes full of tourists on geothermal energy. The second is the known danger that tourism can kill the toured. Sheer numbers of tourists now swamp such destinations as Venice and Barcelona - and for modest economic benefit: an awful lot of the money tourists pay for their Venice trip goes to the tour operators, not to local traders. 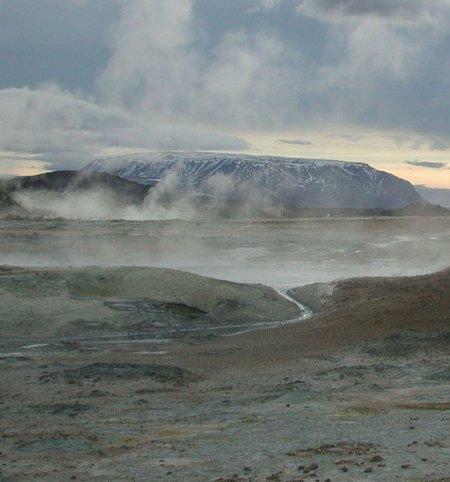 There's an added danger in Iceland that mass tourism will physically damage the landscape. If a single jeep leaves the road for a spin across the permafrost, it can take 20 years for the mosses and alpine plants to recover. 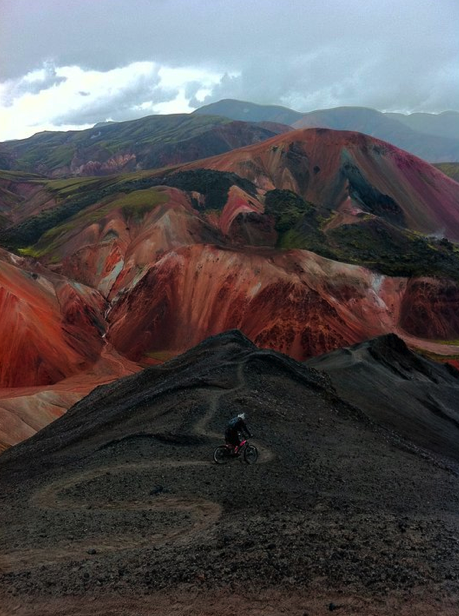 So what could sustainable tourism be in Iceland? Could the country develop new kinds of ecotourism in ways that conserve the environment and improve the well-being of local people? Two trends in other parts of the world could be harnessed in Iceland: providing the means for vistors to travel there by slower means; and second, that their visits be for longer periods, in order to work and to learn - not just to play, or to soak in hot tubs. One idea is that multi-skilled groups would spend time in Iceland helping to bring some of Iceland's 2,000 abandoned farms back to life. You may also [and should] download and watch Dreamland the movie in the USA here and in Europe here. From Milk To Superfoods: Supping With The Devil? How do you make a website for Transition?